Nvidia has shown off the next generation of digital water physics, promising much more realistic water effects. The new fluid simulation algorithm is called Position Based Fluids. 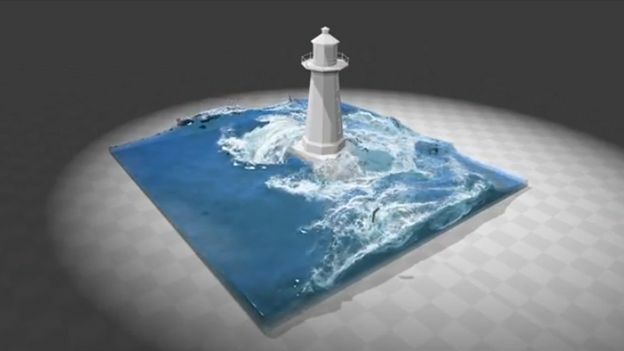 It allows developers to create water effects that are incredibly realistic, such as a sea breaking around a lighthouse. "In fluid simulation, enforcing incompressibility is crucial for realism; it is also computationally expensive," say NVIDIA's Miles Macklin and Matthias Müller-Fischer. "By formulating and solving a set of positional constraints that enforce constant density, our method allows similar incompressibility and convergence to modern smoothed particle hydrodynamic (SPH) solvers, but inherits the stability of the geometric, position based dynamics method, allowing large time steps suitable for real-time applications." The company has released the team's research paper, which is available here. However, if you'd prefer to see the technology in action, then watch the videos below.